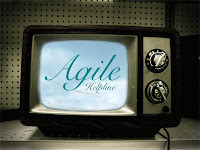 Agile TV shares original and innovative agile educational videos created by Agile Helpline. These videos cover a wide spectrum of agile topics. This page requires flash, however you can also watch these videos without flash at YouTube as well.